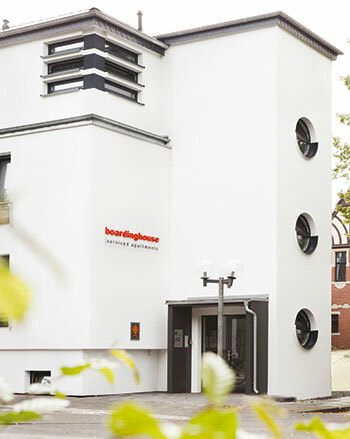 Short-term stays in furnished apartments in our boardinghouse in Lippstadt. Would you like to follow the trend and prefer to stay in an apartment instead of a hotel room for a longer stay? In the heart of Lippstadt you will find our boardinghouse with seven fully furnished and decorated apartments of 45-60 sqm. Exclusively equipped living rooms with fireplace and balcony (penthouse) create a relaxing and pleasant atmosphere. The prime location of the boardinghouse permits easy access to all basic services and shopping facilities within walking distance. Our various service options are designed to make your stay as pleasant as possible. We would like you to feel comfortable in our boardinghouse and we wish you a pleasant stay.